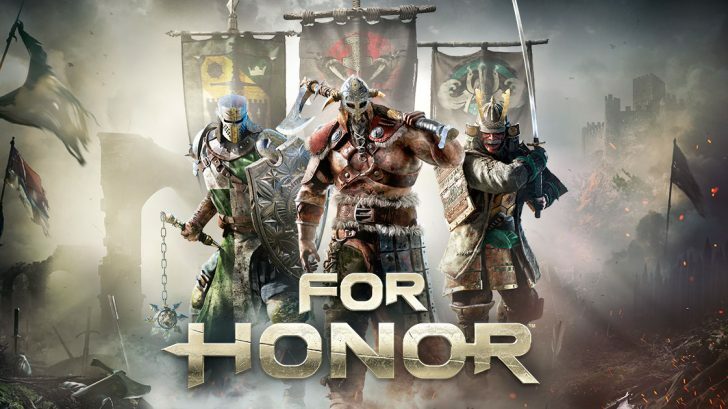 Ubisoft recently held a For Honor tournament which was to celebrate the upcoming third season of For Honor but it ended up being a lousy celebration for those watching live. The tournament was streamed live on Twitch, and matches were full of exploits and even a bug which caused this person to lose. As you can see in this below Twitch clip a player’s character falls down due to being pushed back on high terrain. The fall was quickly capitalized on, and the player was easily defeated. In another clip, you can see the character Raider constantly able to have moves spammed because the character is seriously overpowered, and the moves are pretty much unblockable. It was said that this clip was just an example of it happening many times throughout the tournament. And the worst of all exploits used in the tournament is known as “unlock tech” which allows their attacks to be faster and unable to be parried. The winner of the tournament actually used this exploit, and the creative director even said “you might have to change your play style” when giving the award. 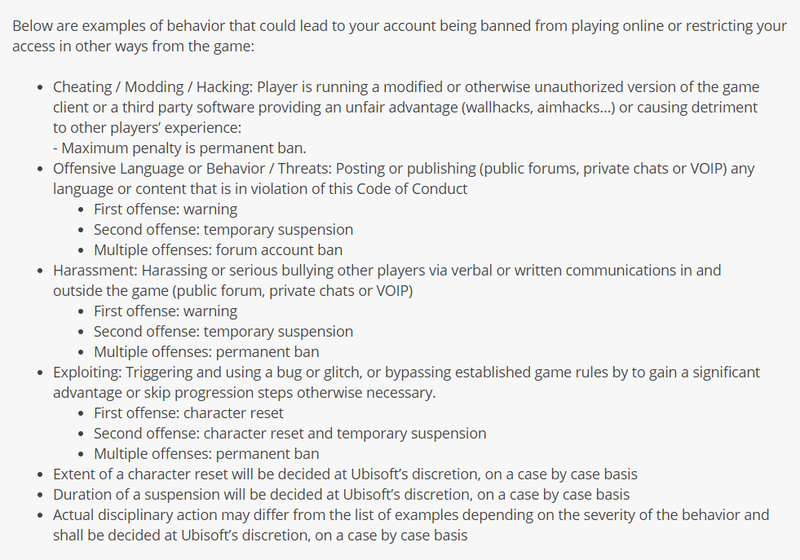 Many in the For Honor community thought it was hypocritical of Ubisoft to allow such tactics and exploits when their own For Honor online Code Of Conduct states what disciplinary actions will be taken if you exploit in For Honor which you can see below. What do you think of For Honor’s tournament issues? Do you think exploits should be banned or not? Let us know in the comments section below. It’s a pity that when this game was announced my initial excitement was drowned out by the realization that this game would be plagued with balance and server issues simply because it’s an Ubisoft game. Pity, I would have loved to have been proven wrong.